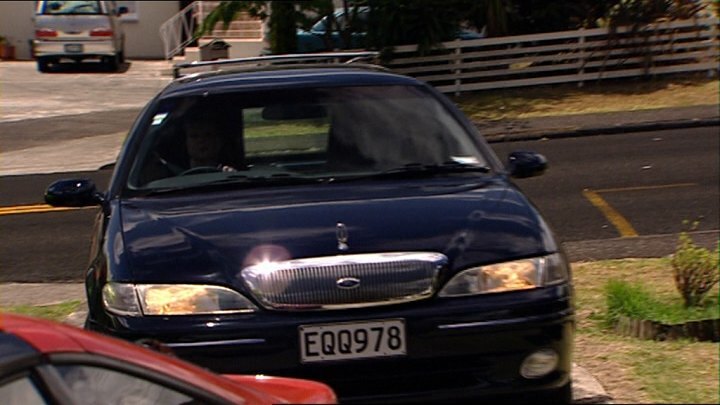 IMCDb.org: 1997 Ford Falcon Hearse [EL] in "Outrageous Fortune, 2005-2010"
Comes up as a 1997 Ford Falcon, but is definitely an LTD (different front end). The VIN on that plate returns a white Ford Falcon station wagon, built in December 1996. So, obviously it has just had a LTD front end put on it, and has been painted black. Very common with these hearses. Mini hearse with LTD-update - impossible to identify, but it could have been by pretty much every contemporary hearse coachbuilder from AUS.